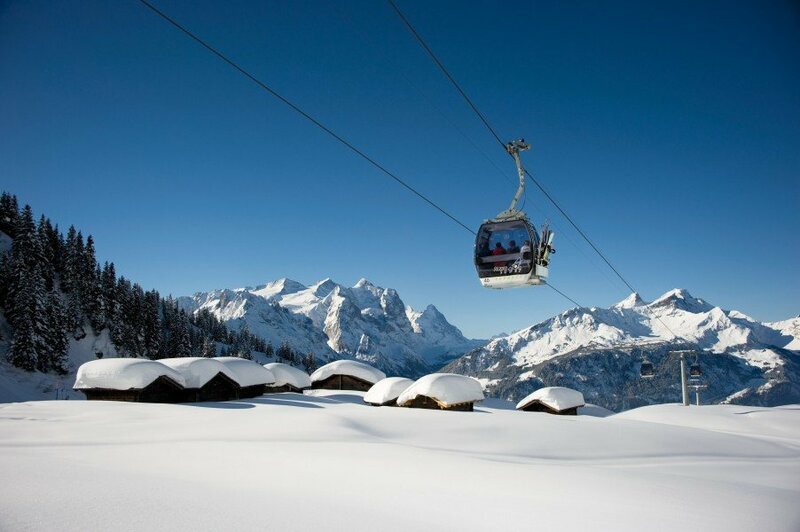 Elevated between 1969 ft and 7982 ft, the Ski Resort is among the 5 highest elevated Ski Resorts in the Bernese Oberland. The vertical drop from summit to base is 6014 ft. The average difference in altitude between base and summit of Ski Resorts in Switzerland is 2890 ft. Most runs are therefore relatively long. 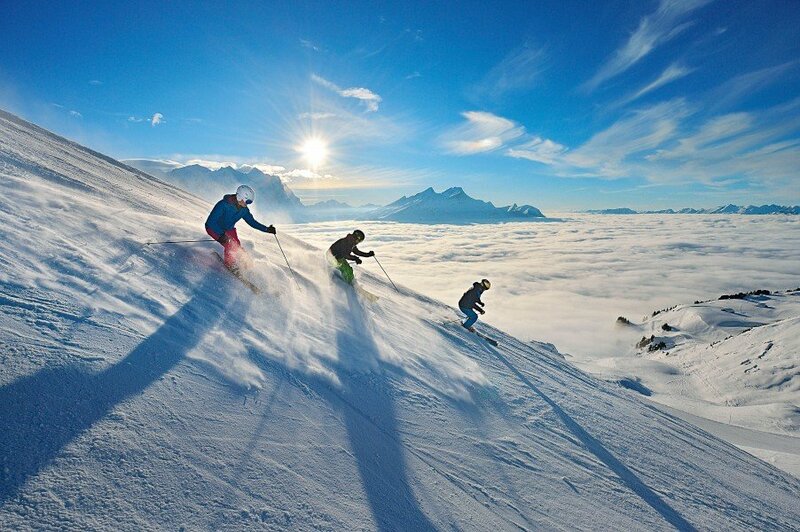 Meiringen Hasliberg is among the 10 best rated Ski Resorts in the Bernese Oberland. Season starts on Dec 15 and ends on Mar 31 (106 days). Average season duration in Switzerland is 112 days. Average snow depth during the season (Dec 15 to Mar 31) is 95 " at summit elevation and 15 " at base elevation. Snow coverage is usually best during March, offering an average snow depth of 117 " at summit elevation and 15 " at the base. 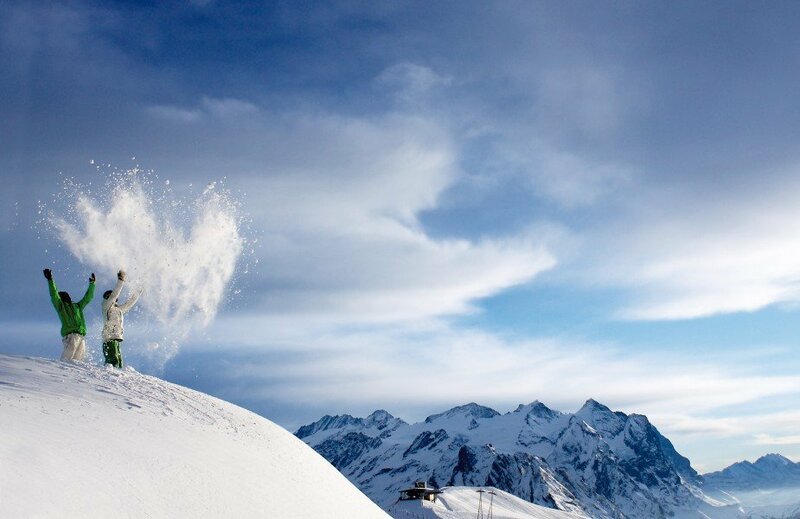 Therefore Meiringen Hasliberg is among the 10 ski Resorts with best snow conditions in the Bernese Oberland. Meiringen Hasliberg features 51 sunny days on average per season. The average for all ski Resorts in Switzerland is 55 sunny days. February is the sunniest month with an average of 19 sunny days. Offering 37 miles of slopes and terrain, Meiringen Hasliberg is among the 5 largest Ski Resorts in the Bernese Oberland. The Haslital offers a complete palate of snow sports and the opportunity to relax and rejuvenate in quiet, remote valleys. The winter sports area Meiringen-Hasliberg caters to all the needs of skiers and snowboarders. Out of the way alpine valleys offer hiking trains and sledding runs. The family friendly region has something for everyone – adults and children alike. In winter, when persistant banks of cloud cover the flatlands, the sun usually shines on the Hasliberg. The Brünig Pass acts as a weather divide and the clouds that waft over from central Switzerland dissipate into nothing. Grey and dismal in the north – sunny and refreshing on the Haslital! What better way to make the most out of the day than a day spent out in the snow. 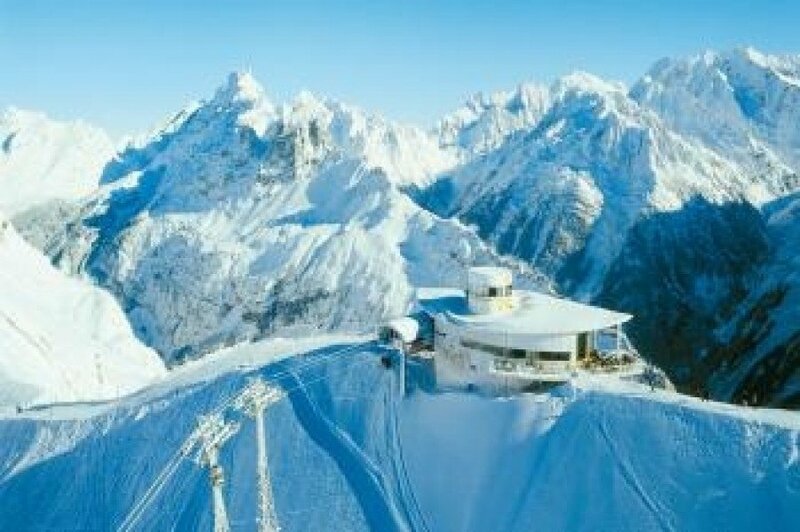 panoarama restaurant Alpen tower to cosy mountain restaurants and rustic alpine huts alongside the pistes. The biggest event in the region is the Ski-Cross-Weltcup which takes place at the beginning of March with world-class athletes competing in exciting races with 4 athletes on the course at the same time. One of the best learner’s areas in alps can be found on the Hasliberg. “Skihäsliland” is set up so that kids can have fun learning to ski and snowboard. 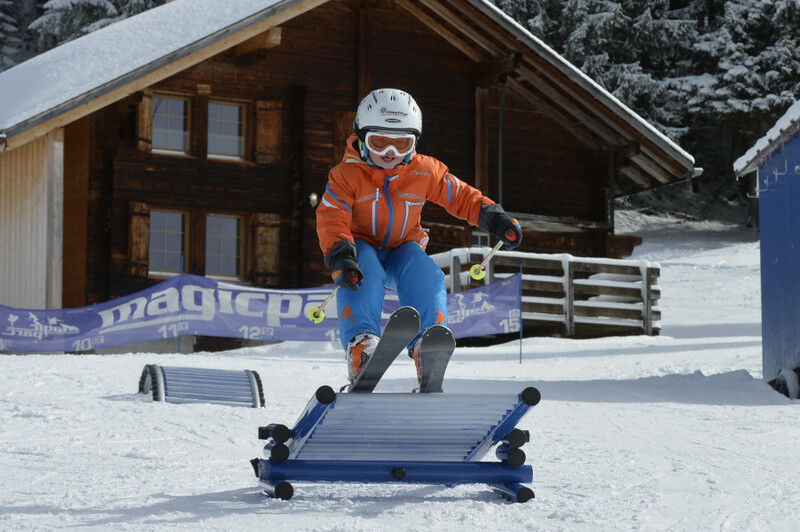 The area is equipped with a number of children’s ski lifts, a snowboard lift, a carussel and a playtower with slide. “Skihäsliland” is at the mid-station Bidmi in a safe area set away from, but alongside the piste, so parents can easily check on their kids now and again. 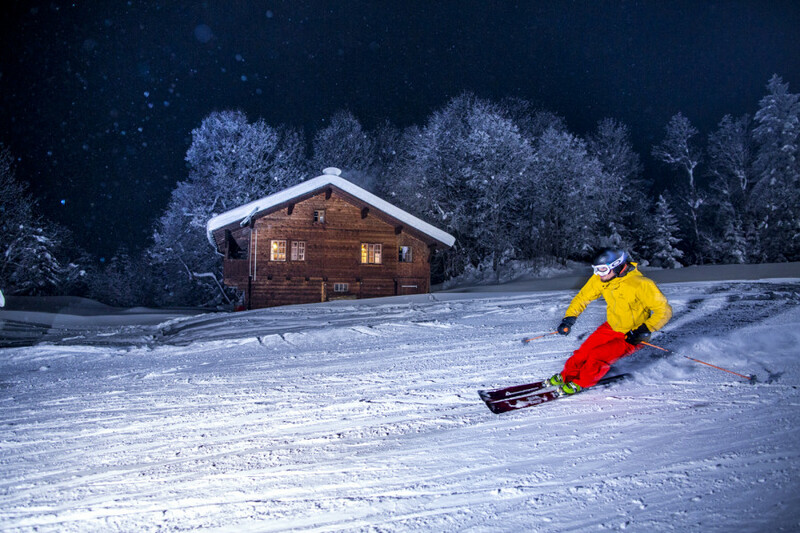 The Hasliberg also promises relaxation and impressive winter experiences far away from the ski slopes. The sunny plateau above the Aare Valley is a popular winter hiking area and boasts 35km of groomed and signposted hiking trails through snow covered forests and past charming chalets. Fantastic views can be had along the way – across to the other side of the valley to Rosenlaui and the Bernese mountains such as the famous Wetterhorn and Eiger mountains. A cross-country circuit for classic and skating and two sledding runs round off the attractions. The Haslital has much to offer - apart from the Meiringen-Hasliberg snow sports area - majestic alps and tranquil natural surroundings are in the foreground. The Rosenlaui Valley will take you far away from the hubbub on the slopes and into a winter wonderland where you can enjoy a hike along the flat valley floor or maybe tackle the snow-shoe trail up to the Grosse Scheidegg. 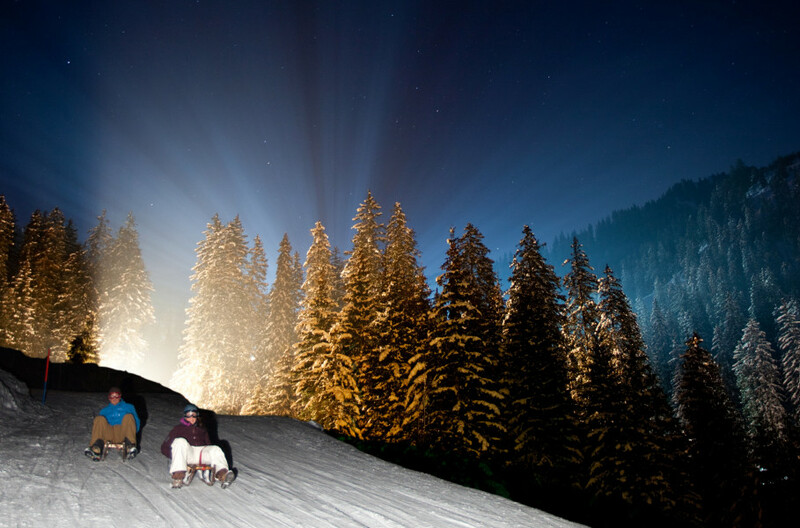 A sled ride back down to Meiringen could be the day’s highlight. Peace and quiet rules in the Gadmen Valley in winter. Situated on the Bernese side of the Susten Pass, which is closed in winter, Gadmen enjoys the serenity of winter. A little ski area and two winter hiking trails are some of the infrastructure in winter. A special pearl in winter is the 15km long cross country circuit which snakes alongside the Gadmer river and back to Gadmen. A shorter circuit is open on several evenings. The Grimsel and Susten areas are an absolute „eldorado“ for ski tours in winter. The KWO’s storage dams now lie under a thick coating of snow. The Handeck-Gerstenegg aerial cable car, which is the winter access to the Grimsel power plants, can be used by ski tourers to reach the starting point of many stunning ski tours.